Orga Magnus HD 6.13mm AEG Inner Barrel (433mm). 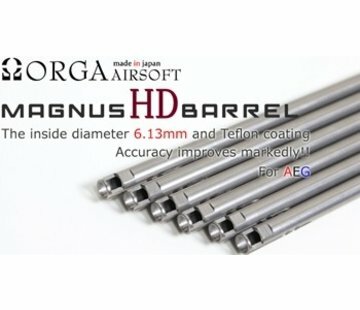 The ORGA Magnus 6.13mm WideBore barrel increases accuracy and trajectory by reducing barrel friction and inner barrel bouncing. 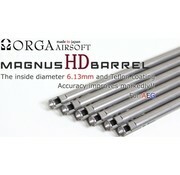 The width of the barrel ensures that hop-up spin is constant and consistent when it exits the barrel. 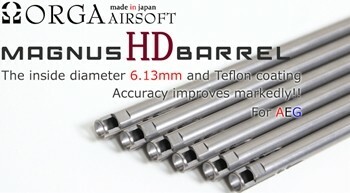 This allows for precise, long range shooting, with 60-70 meter accuracy at under 1J. 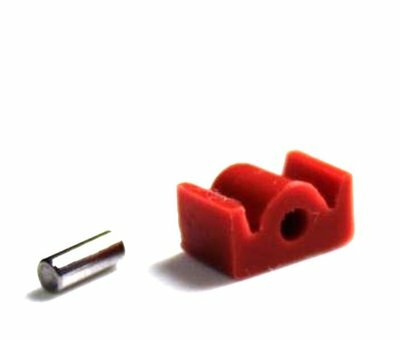 You may lose a 30 or so FPS but you can change that by changing the spring.